The oldest stand at Lord’s, containing the Long Room, designed by Frank Verity, an architect famous for designing London theatres. 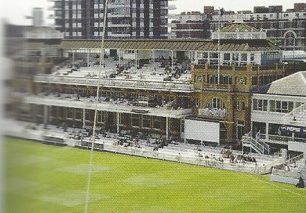 named after Sir Pelham Francis Warner MBE ( 1873 – 1963), affectionately and better known as Plum Warner or “the Grand Old Man” of English cricket, who was a Test cricketer. 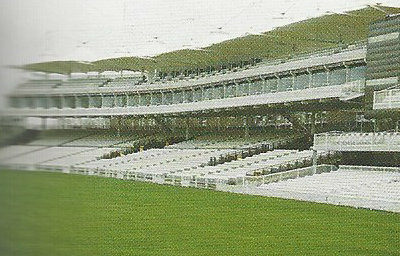 built by Nicholas Grimshaw and Partners in 1998. It has two 50m span roof trusses supported on three columns. 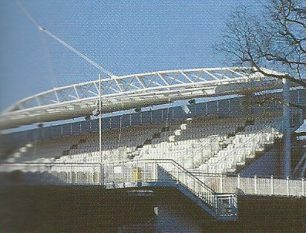 on east side beneath the Media Centre – simple concrete raked decks sitting on a complex arrangement of tubular steel arms. 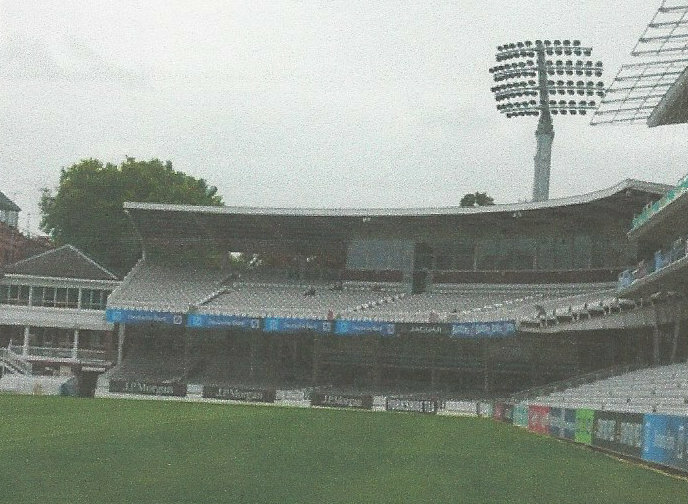 Named after Denis Compton CBE (1918 -1997), an English cricketer who played in 78 Test matches. named after William “Bill” Edrich DFC (1916 – 1986) , a distinguished cricketer who played for England and designed with the same arrangement as the Compton Stand. built to celebrate the new millennium, known as the J.P. Morgan Media Centre. The building was awarded the RIBA Stirling Prize for Architecture, in 1999. and has 26 prefabricated aluminium sections and a raked bank of journalist benches with a bar at the rear. designed in 1987 by Sir Michael Hopkins to sit above the 1899 stand, and uses its brick arches. 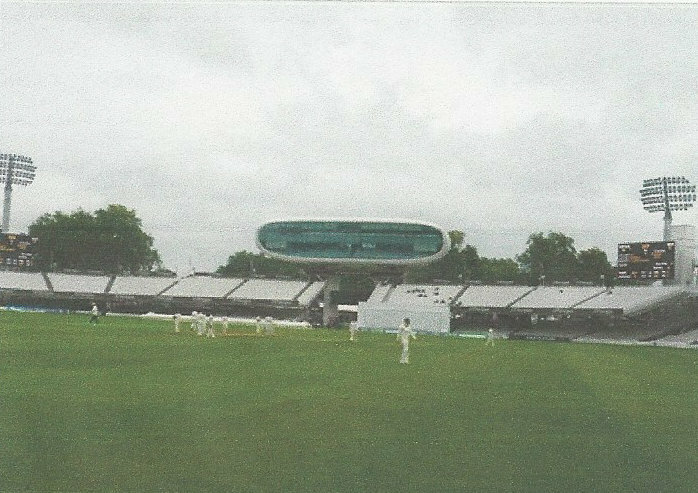 The translucent roof is PVC glassfibre weave and its whiteness is appropriate to the traditional clothes worn by cricketers. named after Sir George Oswald Browning “Gubby” Allen CBE (1902 – 1989), who captained England in eleven Test matches. designed by Sir Herbert Baker. This page was added on 08/10/2015.